Gold Coast may be known for theme parks and beautiful beaches but it’s a place that holds more hidden gems than you’d expect. 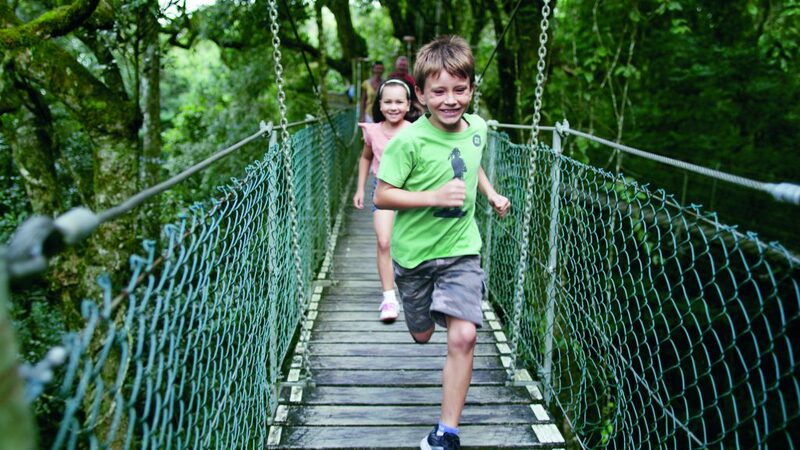 Whether you travel solo or with your beloved family in tow, there’s a wealth of activities you can get up to while in Australia’s Sunshine State. But we know that travelling isn’t cheap, especially when our currency has been unstable lately. However, that shouldn’t be a reason to stop our wanderlust. All you need is more creative planning on how you can get the big experiences on a small budget. 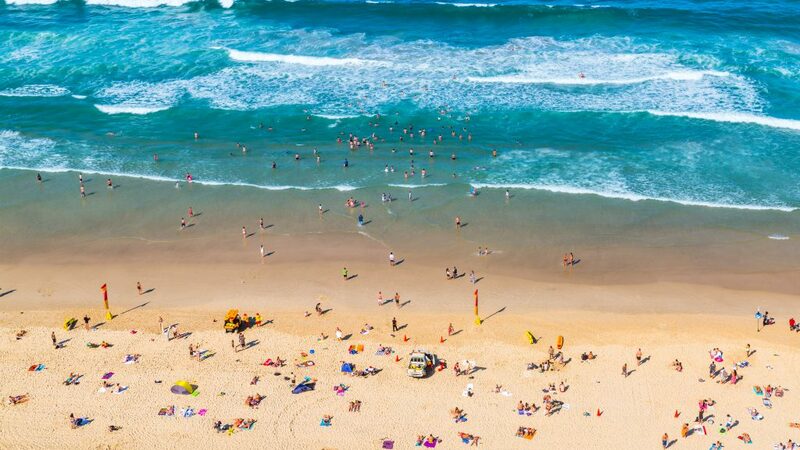 Here’re some pro-tips from my recent trip to Gold Coast, Australia—where I got the most out of this cosmopolitan beach city without burning a hole in my pocket. Waking up in Gold Coast is always a treat due to its crisp air, good weather and sunny mood. 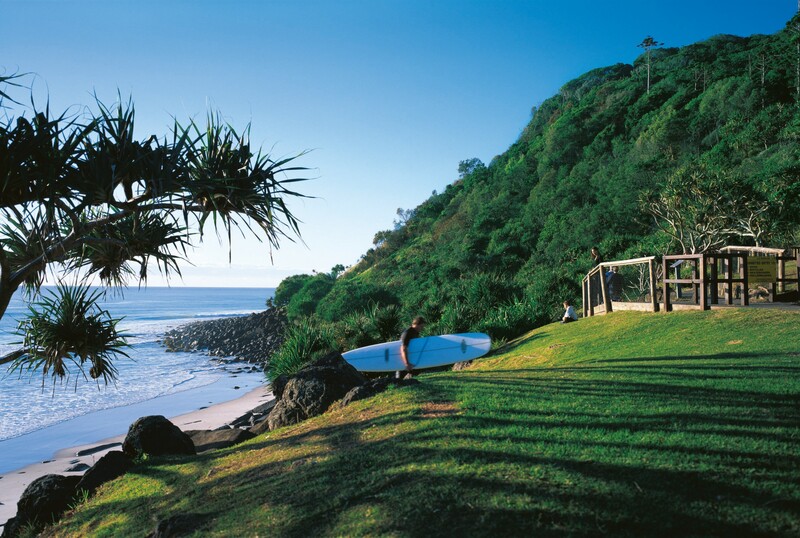 To really enjoy this, take a hike at Burleigh Heads National Park. 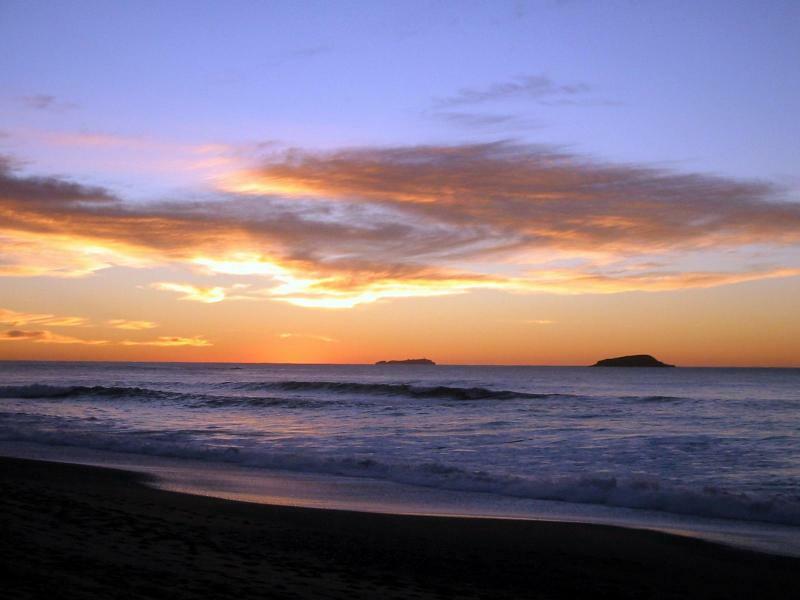 Bring a cup of coffee and walk right to one of Australia’s most famous point breaks to catch the stunning sunrise. Tip: Do the 2.5km ocean view walk around the rocky headland which is a must-see. 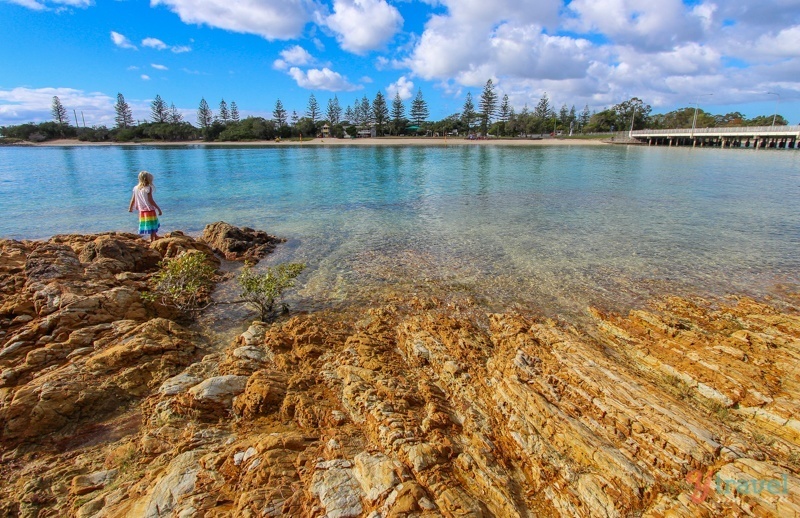 At one point, you’ll come upon Tallebudgera Creek which is a great photo-spot or get some downtime at the secluded Echo Beach. 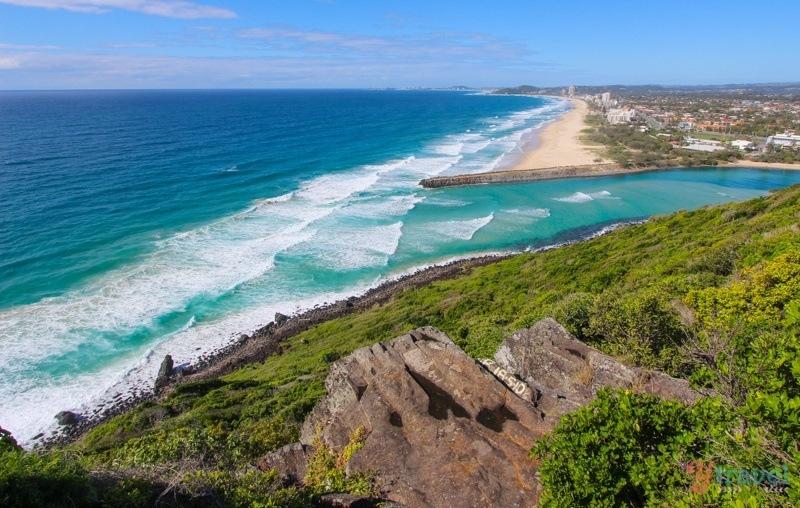 When you walk back to the starting point at Burleigh, you should stop at Tumgun Lookout which offers awesome views back over Tallebudgera Creek and Palm Beach off in the distance. A great way to feel refreshed early in the morning is to take a 15-minute drive from Currumbin Beach and head to Currumbin Rock Pools. 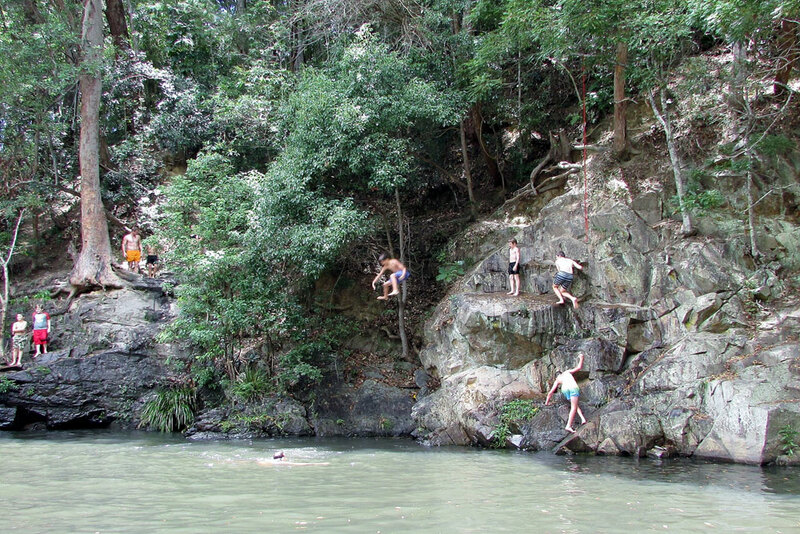 This swimming hole is also extremely popular with locals and for good reason! There are many ledges and ropes to jump from for the daring ones. Pool depths vary but even pre-schoolers can splash around, with supervision of course. Pack along a basket and have a picnic around the grassy banks. Hot drinks and snacks are also available from the Currumbin Community Farm Campus nearby. 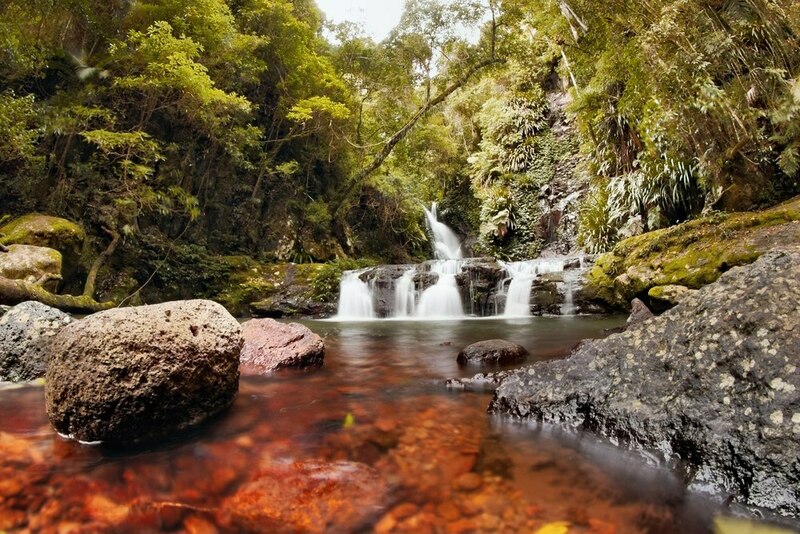 Once you are done having a wet time at the pools, continue another 5 minutes along Currumbin Creek Road to see the Mount Cougal section of Springbrook National Park where an 800m walking trail leads to cascading waterfalls, rock pools and an historic bush sawmill. Cross a lush treetop walkway. Lamington National Park houses a lot of great walks surrounded by nature but their highlight would probably be the O’Reilly Tree Top Walk. Consisting of 9 suspension bridges, they hang up to 16m above ground. The observation deck near a 30m fig tree gives a great bird’s eye view of all the flora growing around. 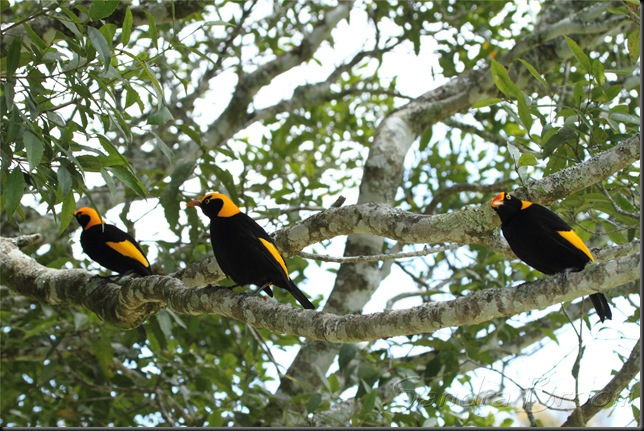 You could also catch some birdlife early in the morning and see them fly right above your heads. 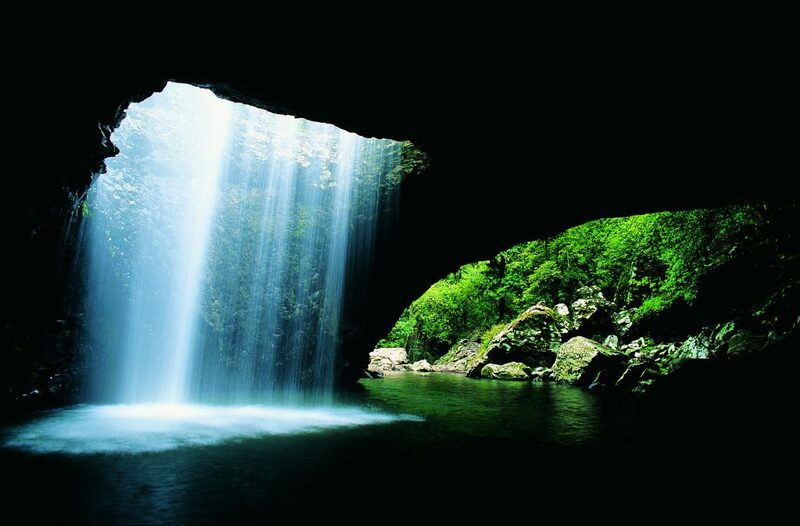 Tip: We took a full day tour with Southern Cross 4WD to get up to Lamington National Park. 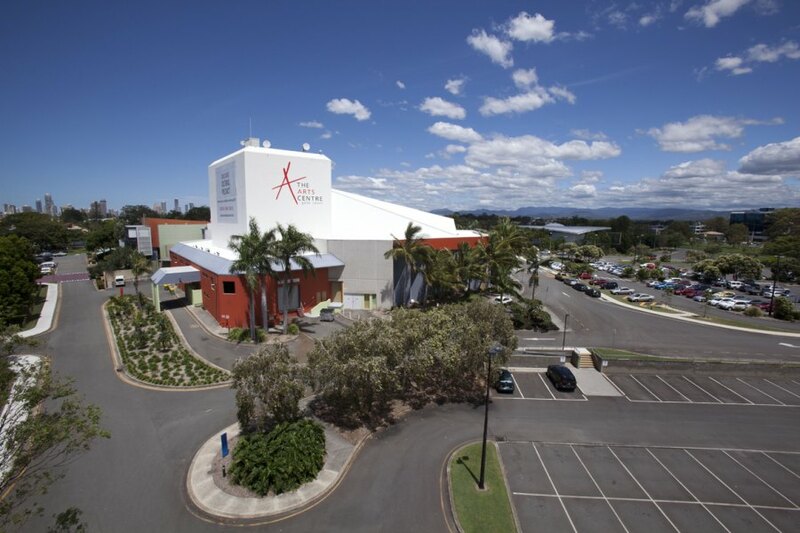 A good place to experience some downtime would be at The Arts Centre Gold Coast. You could catch a movie airing at one of their two cinemas or choose to see a musical or stage play at their arts theatre. 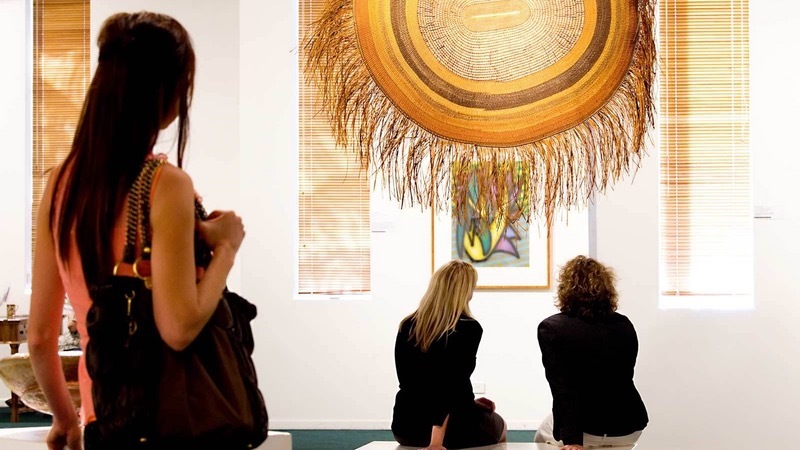 The Gold Coast City Gallery in the centre also features exhibitions throughout the year surrounding around interesting themes. One of their most recent ones was called UnSeenGC and it gave a mobile 3D augmented reality (AR) art experience. Cost: Entry to the Arts Centre and its various exhibitions is free (unless stated otherwise), but tickets have to be purchased for the cinemas and the stage shows. A dish you can’t ignore when visiting Gold Coast is the quintessential fish and chips. A place I frequented was Charis Seafoods near Broadwater because they have some of the freshest seafood I’ve ever tasted for as low as AUD13 (approx. RM43). But there’s more to recommend this restaurant aside from its delicious menu. 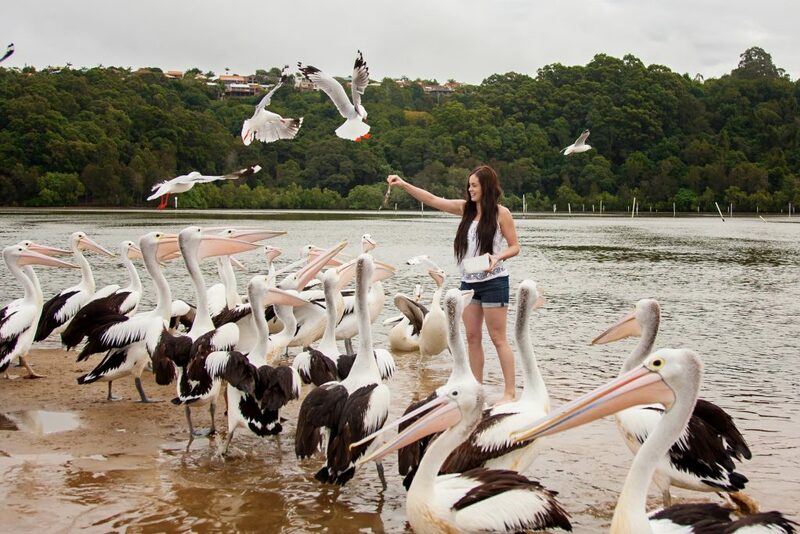 They are also known for their daily pelican feeding session. At 1.30pm, you’ll be surrounded by dozens of pelicans gathering at the swimming lagoon who’ll give you a show when they catch seafood scraps and gobble them all in one gulp. You can even try feeding them yourselves if the attendant hands you a few scraps. This is also the best time to take some photos with these big birds but be careful not to get too close to those beaks! Cost: Pay for the meal at Charis Seafoods, but feeding the pelicans costs nothing! My perfect holiday is sitting by the beach with a good book and relaxing to the melodic sound of the crashing waves. So if you’re like me, you’ll really love Surfers Paradise. There’re loads of stalls nearby to grab some cold drinks from and just perch yourself on the sands to absorb the nice weather. Do slather on the sunblock to avoid the burn the next day. If surfing’s up your alley, you can probably already tell from the name that the waves are just perfect for it. Tip: See a different side of Surfers Paradise by catching the sunset. The calm that descends is very different from the boisterous activity of the day. Springbrook National Park has a wide selection of walks to do but a place you shouldn’t miss out on is their glow-worm cave. When dusk falls, you can head over a pitch black and damp cave that’s scattered with thousands of little glow worms. It’s a great way to learn more about these tiny creatures and you’ll feel like you’re looking up at a night sky lit with many stars. For the best displays, head over during the warmer and wetter months of the year (December to March). If you’re not joining a tour, do remember to bring some flashlights to navigate. However, do not shine the lights or any camera flashes onto the glow worms as this disturbs them and will stop them from glowing. 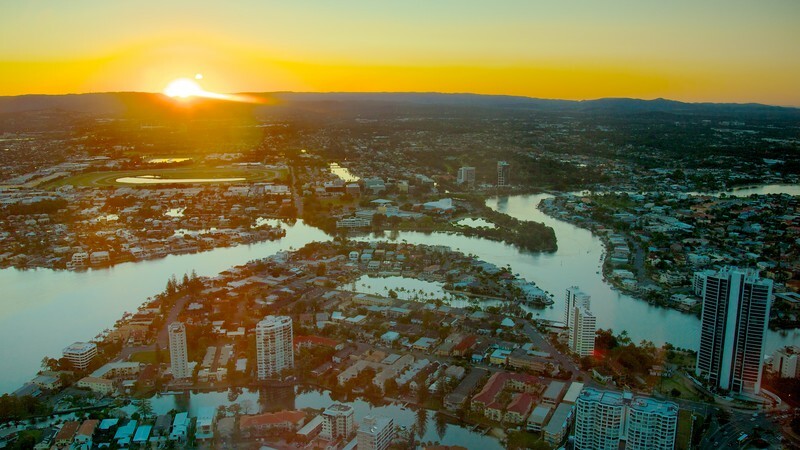 One of the best ways to see the Gold Coast sunset is by visiting the Q1 building, home to the Skypoint Observation Deck near Surfers Paradise. It’s the tallest building in Australia and covers a 360 degree view for you to see miles in all directions. If you’re feeling a bit more adventurous, opt for the Skypoint Climb where you get to do an exterior climb on one of Gold Coast’s tallest building. This one costs about AUD85 (approx. RM285) which is rather pricy but if you’re willing to splurge, the view waiting up there will be worth it. 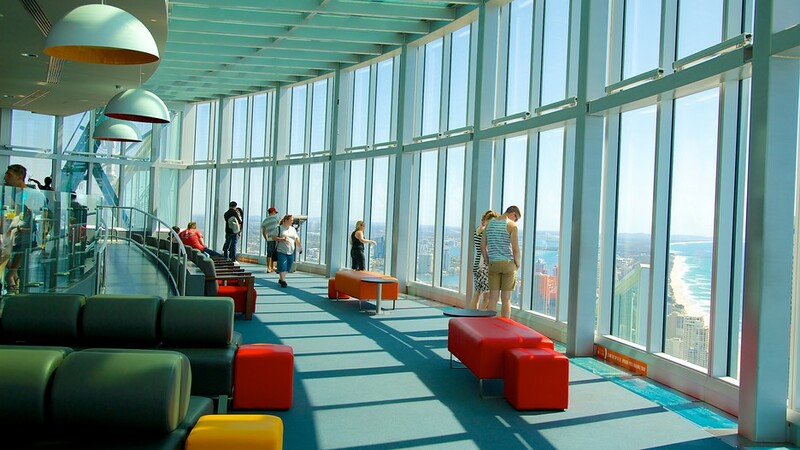 Cost: Entrance fee into the observation deck (AUD24/RM80). 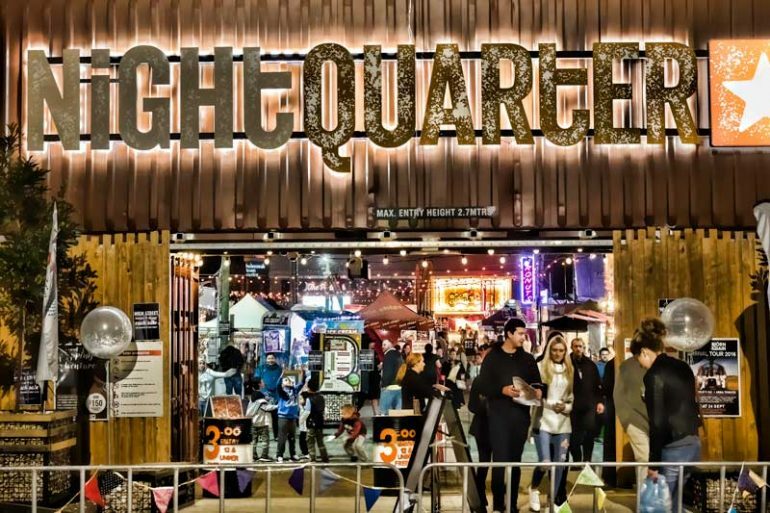 If there’s one place to go to for awesome street food from around the world, it’s NightQuarter at Helensvale. Dubbed as Gold Coast’s largest creative playground, it features night markets, micro-restaurants, emerging fashion and a unique live music space. Take an exciting adventure through a shipping container city that showcases the local talents of over 120 specialty food purveyors, designers, musicians and craftspeople. Feel bedazzled by the kaleidoscope of colour, flavour, music, noise and action that make up a NightQuarter experience. You can find this market at 1 Town Centre Drive, Helensvale, Gold Coast every Friday & Saturday from 4pm-10pm. Open every Wednesday, Friday and Sunday night from 4pm to 9pm, this is where you’ll find over 100 market stalls selling one-of-a-kind gifts or handmade items to bring home. They have a lot of unique items like jewelry, art pieces, intricate toys and simple vintage keepsakes to commemorate your Gold Coast vacation. Strike up a conversation with the locals to find out more about their wares and their culture. The live entertainers around the area also provide the extra laidback vibe that’s just perfect for your beach holiday strolling. Check out FREE events on the Coast! Besides these regular activities, Gold Coast also has several free events lined up throughout the year. The Quiksilver Pro Surfing Event lets you watch the world’s best male and female surfers battle it out at one of the world’s best surfing spots, Snapper Rocks at Rainbow Bay in February or March each year. I managed to catch one of the days at this event and the atmosphere was simply electrifying as you watch the pros surf it out. 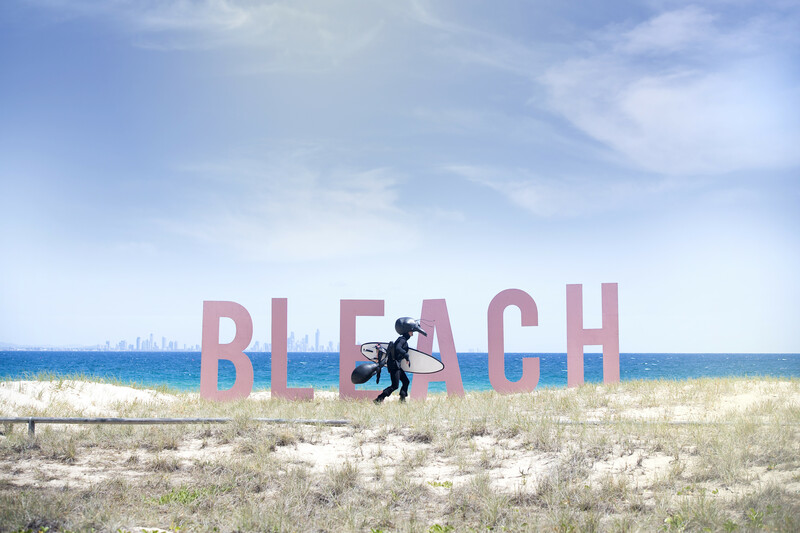 Bleach Festival that commonly happens in March or April every year is the city’s largest arts and music festival. Performances are staged around Gold Coast’s stunning coastal landscape where you have music symphonies play in an open park, or dance troupe perform in the sea. Performances are mostly free, with some ticketed shows. 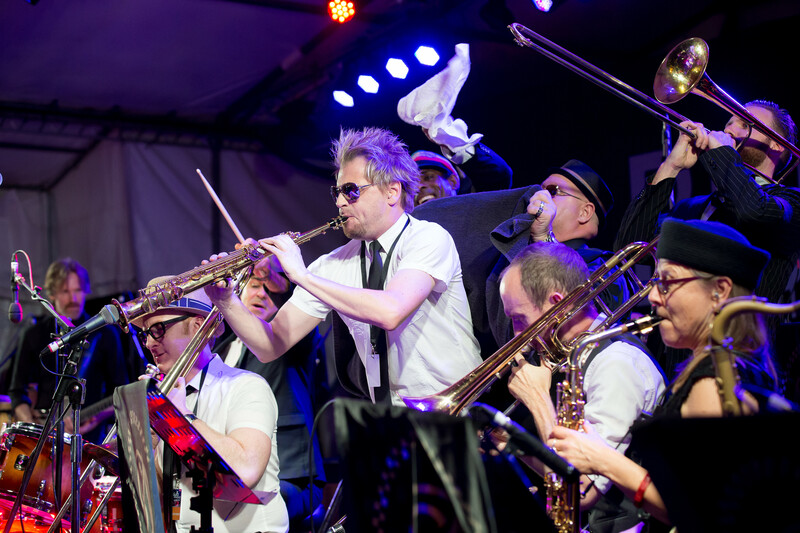 Held every year in May, Blues on Broadbeach is regarded as one of the world’s largest free festivals with multiple stages and shows spread over the four day period. It brings together the best blues and soul music from all over the country and provides a stage for international acts. Do not miss this if you are in Gold Coast in May! The Village Markets are held every 1st and 3rd Sunday of the month at Burleigh Heads State School. If you’re on the hunt for some good deals, these are a good place to start. Only open from 8am to 1pm, this is where you can find funky threads to vintage treasures of all sorts and for a bargain. Shoppers will find it hard to resist the glorious pre-loved clothing racks that sell clothing for as low as AUD1 and there’s also an array of stalls serving acai bowls and other healthy yet tasty bites. Their lineups change from time to time, so you can check out their updates and previews here. Cost: Free, not counting the shopping of course. If you want to get around but still want to stick to a budget, here are some methods you can consider. Use GOEXPLORE for affordable travelling. 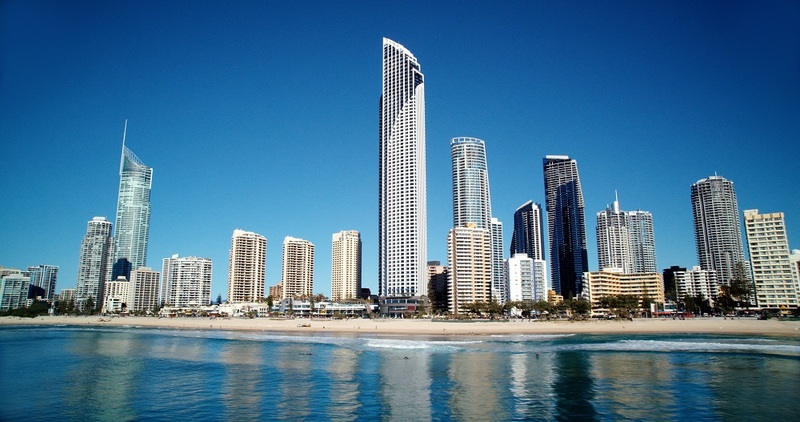 If you’re staying a few days in Gold Coast, GOExplore is a very wallet-friendly yet efficient option to use. 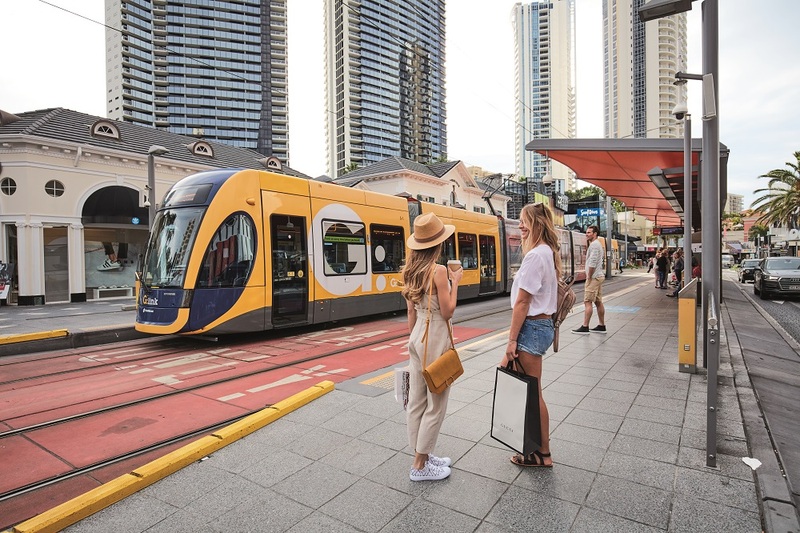 The G:Link connects between 16 tram stations from Surfers Paradise to Broadbeach which makes travelling around the area so much easier. The price for unlimited rides on the G:Link tram costs only AUD10 (approx. RM33) a day and AUD5 (approx. RM16) for kids aged 5 to 14 so make full use of this to get to all the spots you want to visit. Enjoy the sights of Gold Coast by cycling. 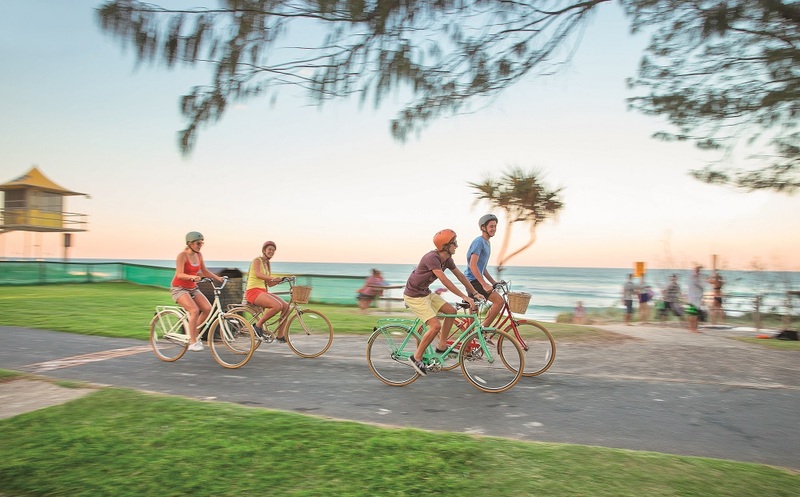 Locals commonly move around in Gold Coast by cycling thanks to the design of their roads being bicycle-friendly. So you can try this experience out and rent one for about AUD25–30 (approx. RM90–100) a day. Most bicycle rental shops in Gold Coast have drop off and pick up points for their bicycles at convenient places. To get a full guide on renting bicycles, you can click here. So who said you can’t travel under a tight budget? It all comes down to being resourceful and gathering information to break down your cost and find ways to save. 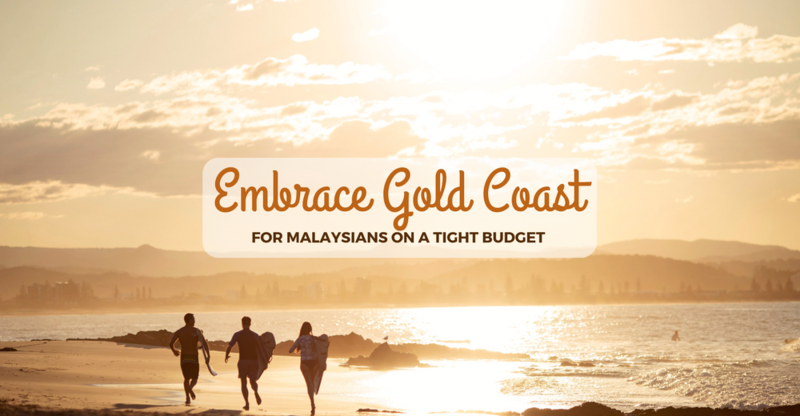 Only RM 499 Just To Get To The Gold Coast! When it comes saving on flights, the travelling period is key. To avoid the school holiday rush, go for the off-peak months in February to May for cheaper rates or aim for promotional fares during July to October. With 11 flights to Gold Coast a week, AirAsia X is currently having a Valentine’s Special promotion where all-in-fare flight tickets can be bought for up to 50% off. Editor’s Note: The Valentine’s Day promotion has ended but the one way all-in-fare of just RM499 is now available. The booking period is ongoing till the 31st of March 2017 and you can fly there from now till the 31st of October 2017. For more details, you can visit their website here.